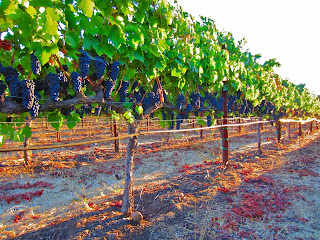 Aaronap Cellars Winemaker's Journal: 2013 Harvest is Here! Wow...one thing you never quite forecast is how much work it is getting all the last minute details of a basement finishing project completed. Seems like I have not seen the light of the sun this summer while I was painting, painting, painting, and more painting. Besides some furnace room doors that still need staining & varnishing, all the pieces came together in late August and that project has largely been completed. Just in time for the 2013 harvest season! I actually got a jump on the season last week when I got notification that the pinot noir juice I had ordered from Westport Rivers Vineyard was going to be ready. This vineyard is special in many ways, but not the least that it's located in Westport, MA. Yes, high quality vinifera grapes can be grown in New England but only certain varieties and in certain locations. The Russell family has located a unique property along the southwest coast of Cape Cod just 1 mile from the beach. The vineyards border the Westport River as it empties into Buzzards Bay. They've taken pains to only plant early maturing vinifera varietals like chardonnay, riesling, & pinot noir that are capable of ripening in our New England climate. The vineyard is a beautiful piece of property and I feel lucky to source some of my starting materials from them. The pinot noir has been happily fermenting away since I brought it home and is intending to form the base of our first rose wine. Crisp, fruity, clean, & delicious on a summer day after it's released in the spring. The excitement continues on Monday with the delivery of cabernet sauvignon & petite sirah! I'm really looking forward to working with these grapes from the Suisin Valley in California that form the basis of our PS Project red blend again. The 2012 PS Project is in the bottle and I must say that even I'm impressed with it. Fruity with a tannic backbone that lingers on your tongue. 2012 was an excellent year, but what I've heard so far indicates 2013 will be even more spectacular. The later are from another special vineyard that I chanced upon. Mums the word on more but trust me, finding high quality merlot & cabernet franc here in New England is quite the coup for Aaronap Cellars! It's going to be a busy fall so stay tuned. Find Aaronap Cellars on Facebook for last minute details as the season progresses! That is great. I'm happy to see another Petite Syrah production. Will the Pinot Rose realy be ready in the spring? 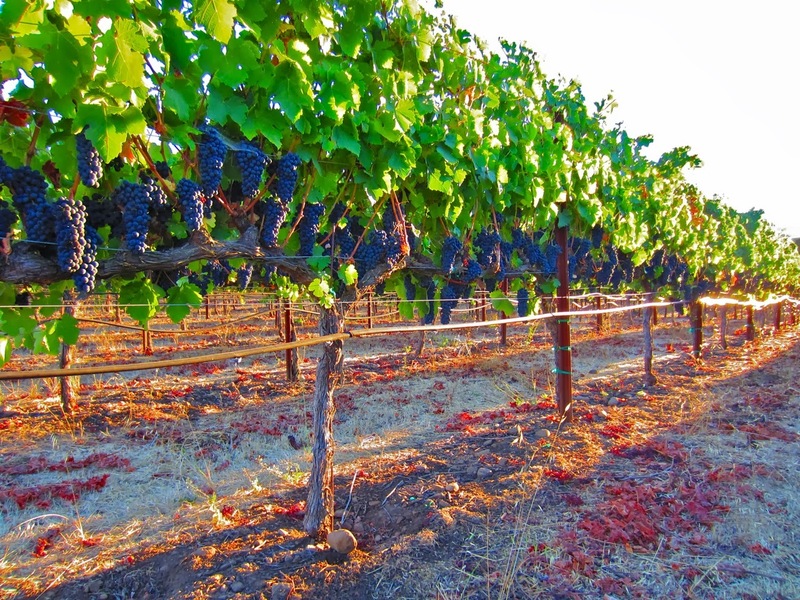 This year's petite sirah is looking like it's going to be very special. Very juicy grapes with good chemistry. The fermenting must has deep, deep purple color and black fruit aromas. The pinot rose should definitely be ready by spring. Fermentation is complete with some nice strawberry aromas. It's currently undergoing a little sur lie aging in stainless steel while it's clearing. Based on the chemistry and tastes at the moment, I'm expecting that it will be just a touch off-dry when bottled.